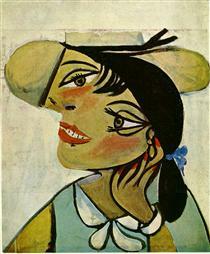 Pablo Picasso was the most dominant and influential artist of the 1st half of the 20th century. 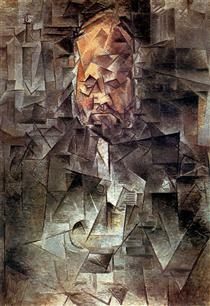 Associated most of all with pioneering Cubism, he also invented collage and made major contribution to Surrealism. He saw himself above all as a painter, yet his sculpture was greatly influential, and he also explored areas as diverse as printmaking and ceramics. Finally, he was a famously charismatic personality, the leading figure in the Ecole de Paris. His many relationships with women not only filtered into his art but also may have directed its course, and his behavior has come to embody that of the bohemian modern artist in the popular imagination. Picasso rejected Matisse's view of the primary importance and role of colour, and focused instead on new pictorial ways of representing form and space. Influenced by novelties of Cézanne, and also by African sculpture and ancient Iberian art, he started to lend his figures more structure, and to deconstruct the conventions of perspective that had dominated painting since the Renaissance. This led him (alongside with Georges Braque) to evolve an entirely new Cubist movement, which rapidly became the cutting edge of modern art. At the same time, Picasso himself rejected the label "Cubism," especially when critics began to differentiate between the two key approaches he pursued - Analytic and Synthetic. 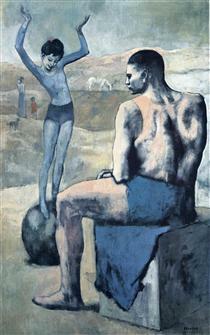 In the 1920s and 1930s Picasso adopted a neoclassical figurative style. As he matured he worked on his own versions of canonical masterpieces by artists such as Poussin, Ingres, Velazquez, Goya, Rembrandt, and El Greco. 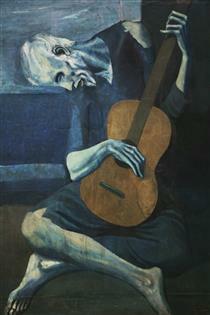 Picasso's influence was profound and far-reaching for most of his life. His work in pioneering Cubism established a set of pictorial problems, devices, and approaches, which remained important well into the 1950s. The Museum of Modern Art in New York (MoMA) has been called "the house that Pablo built," because it has so widely exhibited the artist's work. 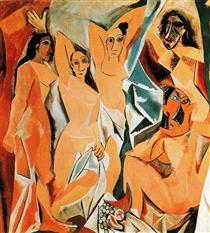 Picasso created some of the greatest 20th century paintings, several of which have achieved iconic status (Les Demoiselles d'Avignon, Guernica, Weeping Woman). 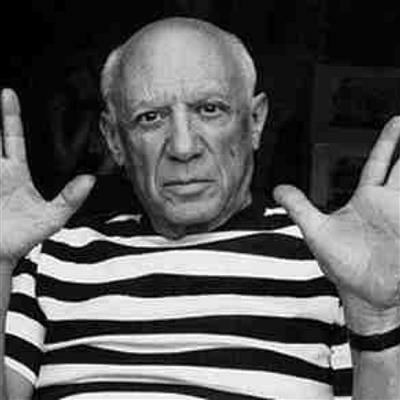 Pablo Picasso (/pɪˈkɑːsoʊ, -ˈkæsoʊ/; Spanish: [ˈpaβlo piˈkaso]; 25 October 1881 – 8 April 1973) was a Spanish painter, sculptor, printmaker, ceramicist, stage designer, poet and playwright who spent most of his adult life in France. Regarded as one of the most influential artists of the 20th century, he is known for co-founding the Cubist movement, the invention of constructed sculpture, the co-invention of collage, and for the wide variety of styles that he helped develop and explore. Among his most famous works are the proto-Cubist Les Demoiselles d'Avignon (1907), and Guernica (1937), a dramatic portrayal of the bombing of Guernica by the German and Italian airforces. Picasso was baptized Pablo Diego José Francisco de Paula Juan Nepomuceno María de los Remedios Cipriano de la Santísima Trinidad Ruiz y Picasso, a series of names honouring various saints and relatives. Ruiz y Picasso were included for his father and mother, respectively, as per Spanish law. Born in the city of Málaga in the Andalusian region of Spain, he was the first child of Don José Ruiz y Blasco (1838–1913) and María Picasso y López. His mother was of one quarter Italian descent, from the territory of Genoa. 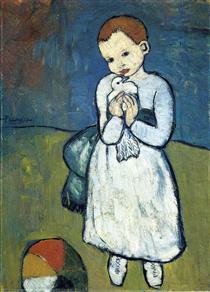 Though baptized a Catholic, Picasso would later on become an atheist. 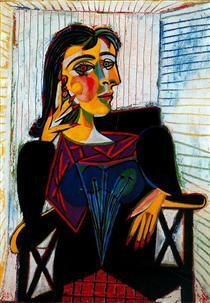 Picasso's family was of middle-class background. 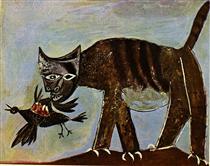 His father was a painter who specialized in naturalistic depictions of birds and other game. For most of his life Ruiz was a professor of art at the School of Crafts and a curator of a local museum. Ruiz's ancestors were minor aristocrats.